What is a Personal Care Home? Personal care homes are residential assisted living care homes that provide personal care services, assistance and supervision to four or more persons. 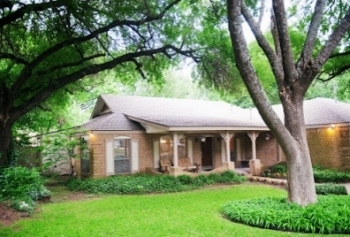 Personal care home offers a smaller, more intimate setting, ideal for persons who might not do well with the larger assisted living facilities and are generally located in quiet residential neighborhoods. 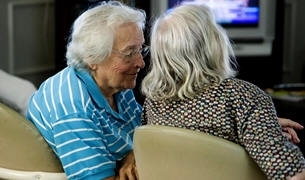 Personal care homes, also known as a residential care facility, provide 24-hour access to personal care, as well as nutrition and wellness services designed specifically for older adults, seniors can also enjoy social contact, security, and support while still maintaining their independence. There are all sorts of assisted living and personal care homes to choose from when deciding which place would best suit your loved one. However, it can still be confusing unless you understand what assisted living and personal care homes can offer. 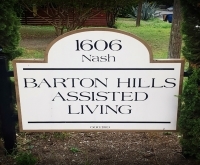 In the state of Texas ALL personal care homes which provide services of a personal care nature to four or more persons, unrelated to the owner, must be licensed by the Texas Department of Aging and Disability Services (DADS) licensure requirements. Personal care homes offer a more home-like setting than nursing homes. They typically provide meals, laundry, housekeeping, medication supervision, assistance with activities of daily living, and activity programs. Small – Small facilities are defined as those with 16 residents or less. Large – Large facilities are defined as those with 17 residents or more. The Texas Department of Aging and Disability Services (DADS) licenses and inspects personal care homes to ensure compliance with state regulations. Through these regulatory activities, DADS protects Texas citizens who receive long-term care services. When choosing a personal care home keep in mind that in Texas, they are licensed according to size, type and building safety features so be sure to ask. As with assisted living facilities, the cost of personal care homes (aka “care homes”) varies from location to location. On average the cost ranges between $1500 and $3000 per month for room and board. This often includes three meals a day, but each facility designates its own costs. The biggest difference is that some personal care homes accept Medicaid to help cover the costs of residency. in addition to private funds, other programs such as the Veteran’s Aid and Attendance benefits may be available to help pay for room and board. Next Post: What is a Geriatric Care Manager? I would be interested in learning if you were able to start a personal care home. My sister has been diagnosed with Alzheimer’s and we need to move her to the Austin area to be close to family. She is 65, bright and happy. Her long term memory is great; short term not so great. She can carry a conversation, discuss the weather, put together a puzzle, talk current events, help in the kitchen. She needs help remembering to take her medication and a friendly reminder to wash her hair!